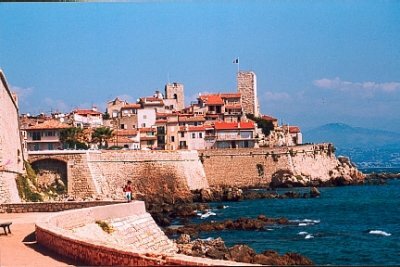 Antibes is situated in the Alpes-Maritimes department in France’s Provence-Alpes-Côte D’Azur region. It lies on the Mediterranean and is located between Cannes and Nice. Around the 19th century, Antibes became a popular destination for wealthy Europeans. A holiday rental in Antibes left them in awe of its beauty - luxurious residential homes were quickly built to accommodate them. Pablo Picasso arrived in Antibes in 1946 and was invited to stay in the Château Grimaldi. Over the period of his six month stay Picasso painted and drew as well as crafting ceramics and tapestries. When he departed Picasso left a number of his works to Antibes. The castle is now known as the Picasso Museum. There are 48 beaches to enjoy while renting your self-catering Antibes holiday home. Its 25 kilometre coastline also boasts the largest yachting harbour in Europe. 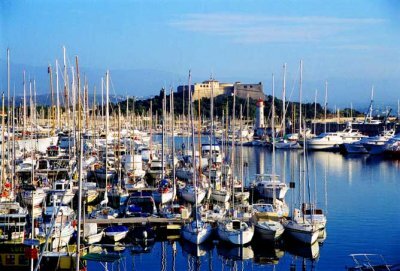 The port - Vauban – can easily be found when staying at your self catering Antibes holiday villa or apartment. With more than 2,000 moorings, it accommodates local fishing boats and luxury yachts craft of more than 100 metres. Antibes isn’t just the perfect destination for sun and seas lovers on holiday in Antibes; it also offers a wealth of attractions for cultural fans too. An Archaeology Museum sits atop the Promenade Admiral de Grasse in a 17th century fortress. The museum's collection focuses on the classical history of Antibes. The views of the sea and mountains from the promenade are spectacular. The Naval Museum of Napoleon is housed in a 17th century stone fort. There’s even an Absinthe Museum located within the Roman foundations of Old Antibes. The owners are happy to teach you to appreciate the legendary liqueur! There are numerous parks including the Exflora Park - a five hectare garden open to the public. Then there are the Eilenroc Gardens, Thuret Park which also is an important botanical garden. Finally the Garoupe lighthouse provides one of the best views in the region. Music of all types, from live jazz to DJs spinning techno, can be found in the bars and nightclubs and there are a number of festivals and special outdoor concerts during the summer. 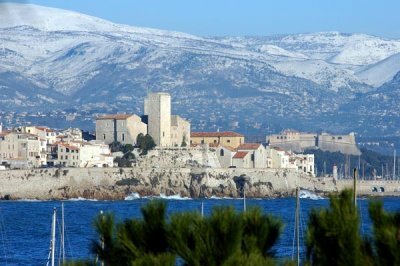 Antibes enjoys a Mediterranean climate. The summer season typically lasts from May to October, although April and November often experience temperatures above 20 °C (68 °F). Winters are mild, with average temperatures of 13.4 °C (56.1 °F) during the day and 5.8 °C (42.4 °F) at night in the period from December to February. Nice is Antibes closest international airport. Many airlines fly direct to Nice from several airports in the UK, including easyJet and British Airways. Rail travel is possible – Antibes has its own SNCF station. If travelling by road, the A8 autoroute takes you to Antibes – the exit is clearly marked.